Did you know Staghorn Ferns (named for their antler-like fronds) can grow and thrive happily mounted on a vertical surface? Tear down your old dead deer head and put up a show-stopping, eye catching plant, that is living! Lily Cox of A Strange Flower DC is here to show you how to get that cabin feel without even having to think about taxidermy! But really. It looks so much harder than it is, and you'll find yourself wanting to cover your walls in them. This workshop will be happening in the upstairs of Colony Club. All supplies are provided, no experience necessary. 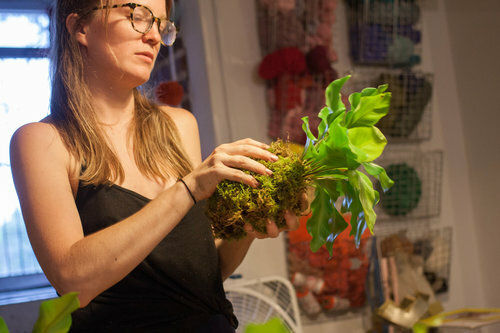 Lily Cox is the founder of A Strange Flower DC, which seeks to grow some life and color into your spaces. 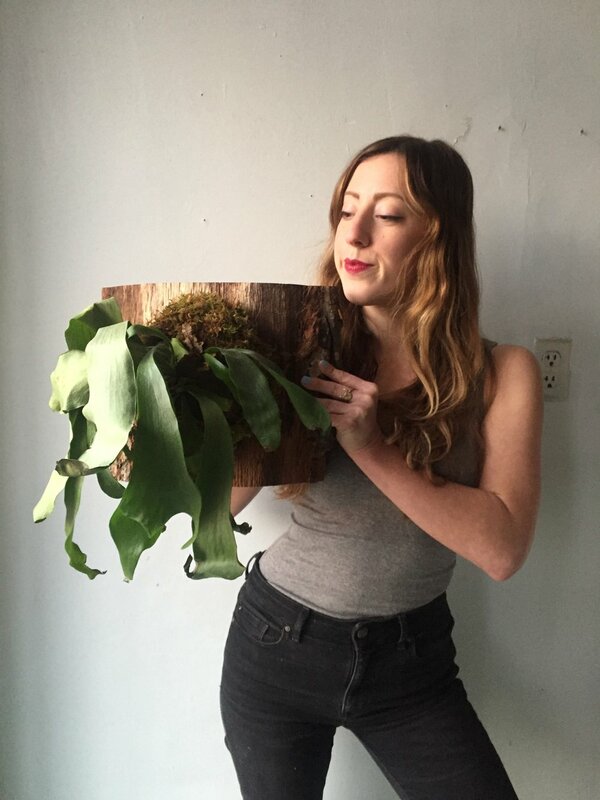 She works primarily with plants that hang, offering workshops on Kokedama, Macrame Hangers, Mounted Staghorn ferns, and helps TLC founder Holley Simmons with her company, Sill Life, giving terrarium workshops.